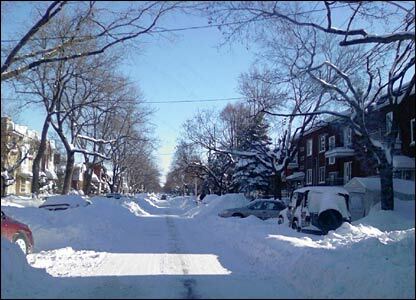 A major snowstorm that hit eastern Canada and the north-eastern US is still causing disruption. Dimitri Barber took this photo after the storm hit Montreal. 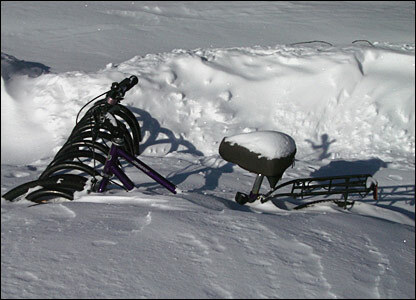 Mark Seymour sent us this picture to prove that all forms of transport were disrupted - even bikes. 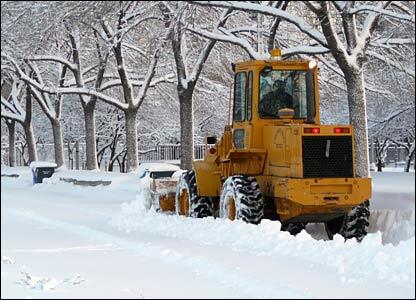 A snow plough valiantly attempts to clear some of the snow from the foot paths in Grant Park, Chicago. Sharon Hicks Bartlett was there to capture this image. Eiren and her friend Annabel went out to enjoy the snow and take care of the animals in London, Ontario. They also managed to take a few pictures. 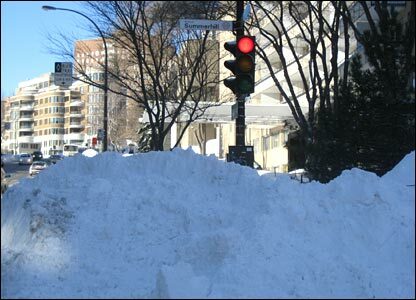 Its not just the traffic lights halting vehicles in Montreal. Catalin Obogeanu took this photo at the weekend. 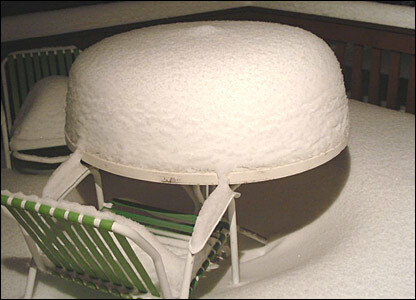 Sandra Andrusiak might have trouble using her patio table over the next few days. 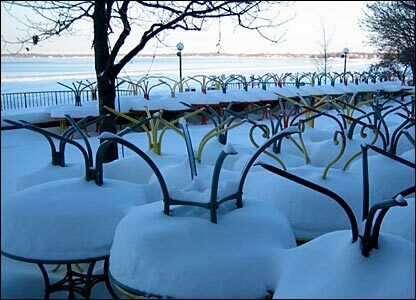 She took this picture after the snowstorm hit Ottawa. 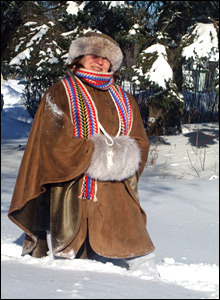 Dressed for the weather, French Canadian singer Gaegane Breton takes a stroll through her garden despite the snow being knee deep. Photo by Hugh Phillips. 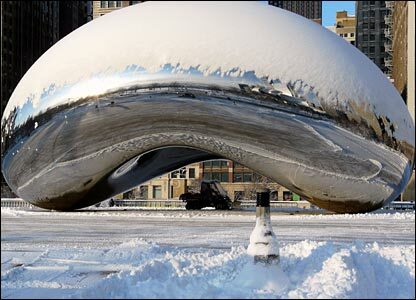 Sharon Hicks Bartlett took this photo in Chicago. Can you spot the carefully hidden snow plough? 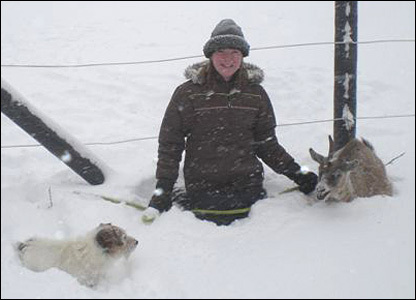 Ena Langendijk from the Netherlands claims to be enjoying the snow in Madison, Wisconsin. 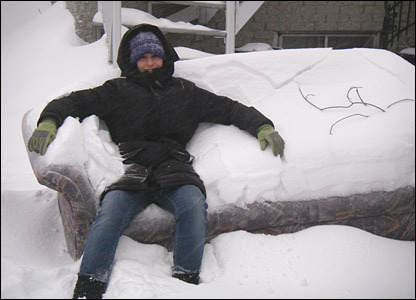 Natasha Abrahams took time to relax near her flat in The Plateau, Montreal. She said it was the first time I saw this much snow in my life. 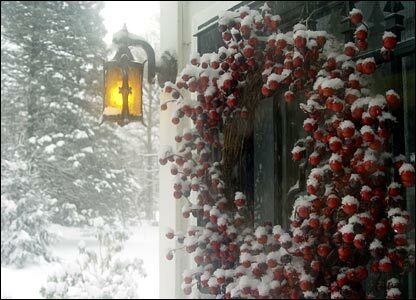 Snowfall in Goshen, Indiana helped Dale Hess take this festive picture. Send your pictures to yourpics@bbc.co.uk, for terms and conditions see right hand side.